The 2013-14 San Jose Sharks season was just merely another pane in the Stanley Cup window that is quickly, or all but shut. They ended up challenging the surprising Anaheim Ducks for the division title late in the year, only to finish five points behind Anaheim. They entered the playoffs winning four of their last six then catapulted to a 3-0 series lead in dominant fashion over the Los Angeles Kings, who are now in their second Stanley Cup Final in three seasons. The rest is a portion of the Sharks’ history they are looking to quickly mask in almost any way possible. The path general manager Doug Wilson chose to venture down is retaining the leadership behind the bench in head coach Todd McClellan, and assistants Larry Robinson, Jim Johnson, and Jay Woodcroft and potentially taking the ice in October with a different look personnel wise. The stage and scope of the potential rebuild is still in question, especially for a team who ranks second to Detroit in consecutive playoff appearances. Big names have been thrown around like verbal dominoes and the Sharks could look considerably different next season. While the Sharks have plenty of talent near or in their prime but they have been ranked as the 24th -best prospect pool in the league by Hockey’s Future. 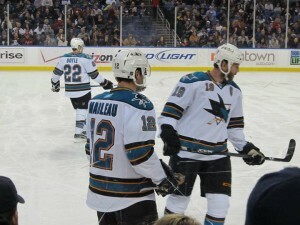 The good news on the prospect front is the Sharks are not nearly in as much disarray as the Vancouver Canucks. 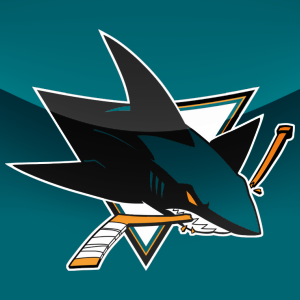 The Sharks look like they’re leaning more towards a current NHL player movement rebuild, as they have only a few tradable assets who haven’t seen NHL action yet. General manager Wilson has already said that he is letting offensive-minded defenseman Dan Boyle walk, leaving a top-two need on the blue line for 2014 alongside Marc-Eduard Vlasic. The Sharks did like what they saw from Mirco Mueller, but the question is his level of readiness over the span of 82 games. He would grow up fast in the West due to all the firepower. Antti Niemi’s story last year was the same unimpressive postseason sequel. Either fairly or unfairly, goaltending is the most scrutinized position in hockey, especially in San Jose where Niemi, as Evgeni Nabokov before him, have fallen prey to high playoff expectations. Niemi signed as a free agent fresh off a championship with the Chicago Blackhawks but has never led the Sharks to the Cup Final. He has consistently been one of the top netminders in the league when it comes to games played and wins, and his number one status has rarely been questioned. Yet, if there is any one current member of the Sharks roster that reflects the Jekyll and Hyde dichotomy regular season to playoffs, it’s Niemi. He owns a 132-69 regular season record and a 19-20 mark in the postseason. Despite full confidence from the coaching staff and the front office as the starter, Niemi’s leash became the length of a toothpick once Alex Stalock, an unrestricted free agent this summer, got the chance to fill the crease in the postseason. 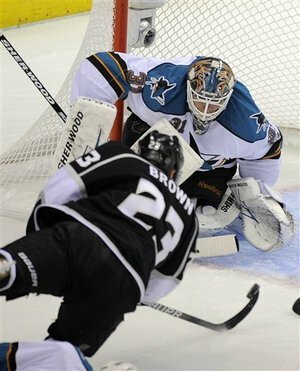 Due to Niemi’s lack of correlation from his success in the regular season to the postseason since joining the Sharks, if there was an area of the roster that general manager Wilson would choose to address first that would most symbolize where the Sharks are headed, it would be the goaltending. They may choose to deal Niemi to a team that loses out on the top goaltender in the free agent class, Ryan Miller. There are plenty of teams in need of quality goaltending, like the Winnipeg Jets, who have pieces to move around. When looking at the forward situation, the Sharks are lacking depth and a second dynamic winger to Patrick Marleau. With Evander Kane on the market, the Jets might be likely trade partners. Stalock provided the Sharks with quality starts seemingly every time he started over Niemi. 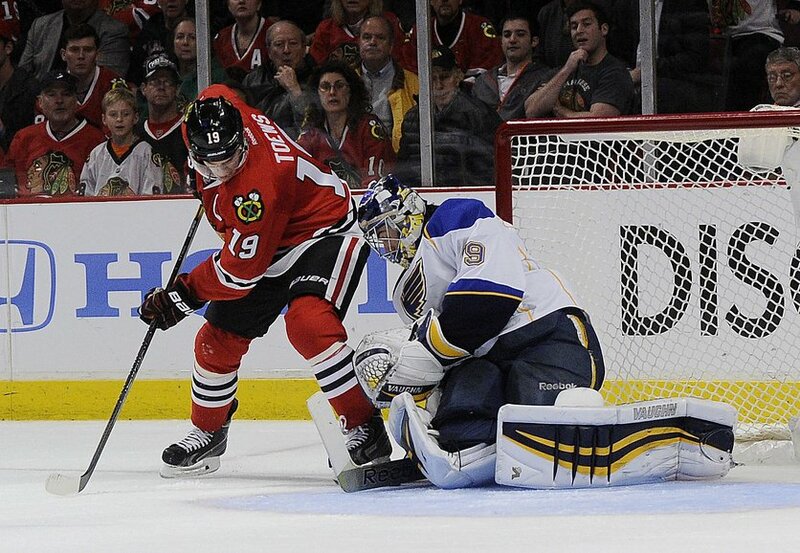 He won 12 of the 24 games he appeared in last season and had an impressive 1.87 GAA and .932 save percentage. He has expressed interest in returning to San Jose, and might be entrusted with the starting job next year, depending on free agency and what the decision is with Niemi. As for free agency, there is one elite netminder on the open market and it’s Ryan Miller. The Sharks are not directly linked with Miller other than speculation. However, Miller has expressed a desire to sign with a Stanley Cup contender, narrowing it down to the 16 playoff teams and then another elimination round to those teams who do not have a clear-cut number one netminder. Of those teams, the Anaheim Ducks, Minnesota Wild and San Jose Sharks all have question marks between the pipes. Actions speak louder than words, and the Anaheim Ducks’ lack of trust in Jonas Hiller to steal a game here and there in the postseason leaves either a competition for the number one job between Frederik Andersen and John Gibson or an alternative from outside the organization- that alternative being Miller. The Wild and Miller have long been paired together the last two trade deadlines but the deal never happened. With the Wild notorious for their power moves via free agency of late, Miller’s tenure in Minnesota might begin in early July. The Sharks haven’t given Niemi any vote of confidence that he would return and there are a few teams throughout the league that are looking for a goaltender that could get them into playoff contention. The Sharks currently hold the second-longest playoff streak in the league behind the Red Wings so if the Sharks want to symbolize they’re ready to take the next step, Miller would be an upgrade and a franchise-altering move toward Cup contention. The catch with Miller is his performance versus the Western Conference. His GAA was a full half-goal higher against Western Conference teams than it was against the Eastern Conference. It’s no secret the west holds the majority of the offensive firepower in the league but can be the answer during the playoffs for the Sharks if the price is right? The crease is often the most important area of the rebuild, but with the Sharks caught in flux, there needs to be a decision made as to which direction to move in and it needs to be soon. Next up: The defensive corps.